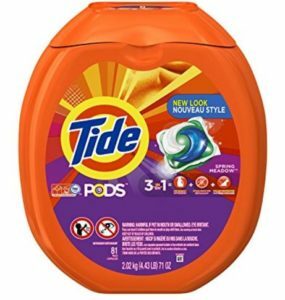 Hurry over to get this Tide PODS Spring Meadow Scent HE Turbo Laundry Detergent Pacs, 81 count for just $13.23 when you clip the $5 off coupon and subscribe and save! -Tide PODS Spring Meadow Scent is specially formulated with HE Turbo technology that contains quick collapsing suds and targets tough stains. -Like any household detergent, keep away from children.